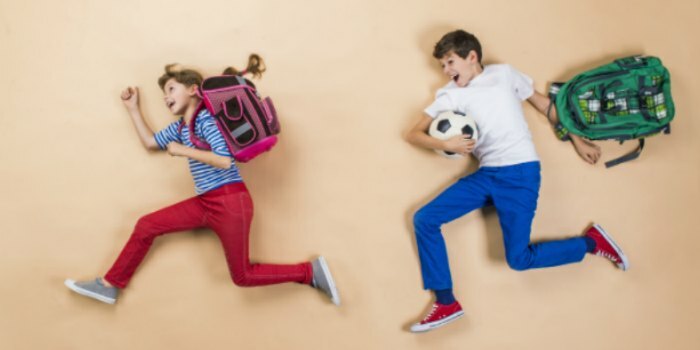 ADHD vs SPD: What's the Difference? As I left the grocery store desperately trying to keep the tears in, I was reminded of just why I never take my oldest son shopping with me. I mean, ever. It had been an especially hectic week, and the refrigerator was looking pretty lonely. There was a tube of margarine on the top shelf and maybe a random container of left overs. I needed something to cook for dinner that night. I didn’t get a chance to go to the store while the kids were at school. Against my better judgment, I thought I would run into the store with the kids and just grab 3-4 items. We would be in there for 10 minutes tops. By the time we hit the second aisle, my 8 year old (Vman) was actually running down the aisle, throwing himself onto his belly and “surfing” the rest of the way. My 6 year old, of course, started following suit. Because that’s what you do when you’re in Kindergarten. Monkey see. Monkey do. Trying desperately to get Vman to stop, I took him by the arm. But one look in his eyes told me that he was truly out of control. His behavior wasn’t just out of control. He didn’t have control over how out of control he was. I can easily do an hour grocery store trip with my Kindergartener. He’ll walk the aisles with me, help me find items and chat up a storm. It’s pleasant and wonderful mom/son time. But not with Vman. It’s an emotional roller coaster of just trying to keep him within social boundaries that I end up a wreck. And, to be honest, he does too. Where Do Sensory Issues End and Hyperactivity Begin? Vman has struggled with Sensory Processing Disorder (SPD) since the moment he was born. He came into this world screaming and it never let up until after years of pediatric occupational therapy. Despite being so ingrained into the Sensory Processing Disorder community through my other website The Sensory Spectrum, I never was sure if Vman’s over-the-top energy was a product of his SPD or something more. As a child, there was absolutely no “off” switch for Vman. He never napped as an infant. He never stopped moving as a toddler. And even once he entered school, we would keep a trampoline in our living room to give him a physical outlet. Was this child a sensory seeker or was something more going on? He also didn’t seem to have the ability to stop himself. His impulses would take over. Just like in the grocery store. And so while I knew he was a good kid at heart, he sure did seem to be going out of his way to press everyone’s buttons. At what point was the inability to control his actions no longer a bi-product of his age and maturity? Vman was struggling in school, which led me to get him evaluated by a neuropsychologist. “Do you test for ADHD?” I asked the office. Because deep down inside I knew. It turns out my son was on the scale for ADD and ADHD. Wahoo! Let’s add some more acronyms to this child’s folder. Nothing like a good ole heaping bowl of Special Needs Alphabet Soup to start the day. The problem with telling the difference between ADHD and SPD is they can often present in similar ways. 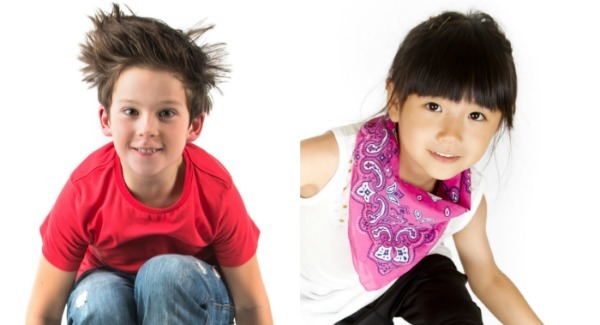 Kids with either diagnosis can seem hyperactive, impulsive and unfocused. Combine ADHD with SPD, and the two can cause learning difficulties, make it challenging for relationships with other children and reduce a child’s ability to follow directions and/or complete tasks. However, the best way to approach each diagnosis is different. Children with sensory processing disorders need occupational therapy intervention to help them train their brains to manage sensory stimuli that seems overwhelming. Or they need to train their bodies to connect with the sensory signals they are receiving because they are under-responsive. Children with ADHD often need medication to help balance the chemicals in their brain to allow them to comfortably function. It is generally accepted that only children with ADHD or ADD will respond to medication. A child who strictly has sensory issues will not respond to medication. 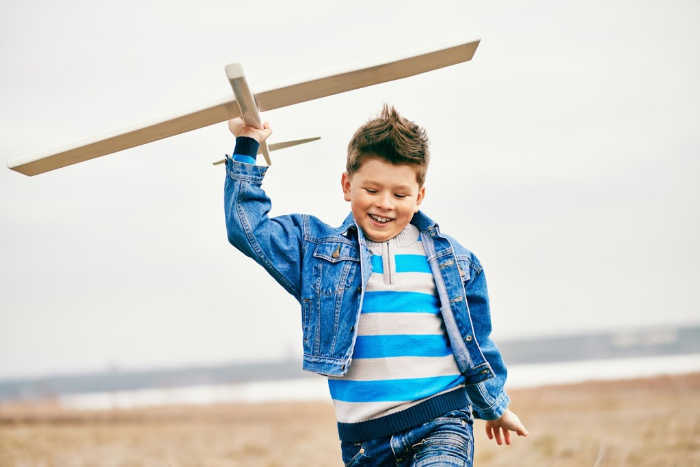 To make it even more challenging to figure out, many issues with ADHD also echo the challenges children face because of their age and maturity. Young kids just don’t have the personal framework in place to be able to control their impulses. It can be difficult to tell if it’s a toddler issue or a hyperactive issue. Our neuropsychologist said that it’s common to not diagnose kids until they are at least eight years old because of this issue. Once a child is around eight, those developmental issues should be gone and professionals can tell if the child is having behavioral, sensory and ADHD issues or a combination. Starting medication for the ADHD was one of the smartest choices we could have made for our son. We noticed a change the very first day. 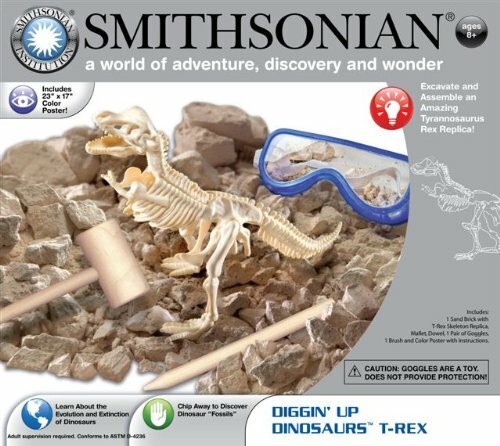 He had received a present of a really cool dinosaur excavation kit. He was so excited to start “digging” for the dinosaur bones. Normally he would have lost interest within 10 minutes. Instead, he sat for more than an hour working on the kit. The dinosaur is now proudly displayed in his room. The medication didn’t really change his personality. He’s still the boisterous Vman we love. The difference is he’s not so impulsive, not so out of control all of the time, not so wild eyed. Vman is generally happier on the medication. He’s not spending a ridiculous amount of energy trying to fight his body. The interesting thing is that as he’s been on the medication longer, we’ve noticed some old sensory issues come up. It’s not that the sensory issues ever went away, but his attention issues were so overwhelming for him that the sensory problems were secondary. A couple of weeks into the medication, I asked Vman if he wanted to try to go to the grocery store with me. It would be a trial run for both of us. He grabbed a cart as we entered the grocery store. We spent time picking out just the right green apples for him. We went to the bread aisle and he chose what he would like for school lunch that week. Then we moved on to the diary aisle for milk. At check out, he unloaded the cart and waited for me to pay. As we walked out the door, I gave him a side hug and said that I really enjoyed our shopping trip. Didn’t it feel great to just be able to get what we needed without any drama, I asked. He smiled and wholeheartedly agreed. Yep. I can’t believe the difference the medication has made for Vman. But boy you can certainly tell when it wears off before bedtime. It’s complete mayhem! Hello, your ADHD and SPD story sounds so familiar to me with my son who is also diagnosed with both. However we haven’t been so fortunate with medication so far. Tried Equasym XL and Dexamphetamine but both have had negative side effects that outweigh the benefits. Can I ask what worked for your son? I had to smile with relief at your before and after grocery shopping experiences! I too avoid at all cost. We’ve had success with Vyvanse and a boost of Ritalin for the afternoon. It’s tough finding the right mix — you just never know which ones are going to work for your kiddo. The only “side affect” we’ve had with the Vyvanse is a drop in appetite — however, my kid could literally eat for an hour straight and still say he was hungry (because it wasn’t registering he was full) so it’s actually balanced out his eating. I’m trying to find the right medication for my son. We’ve tried 3 so far, and I’m not thrilled with the 3rd one either. If possible I’d like to see what medication worked for your son. We went with a long-acting one (Vyvanse) but every body is different… and also the dosages really depend on the kiddo. I agree — it was tough to find the right one. It’s definitely more of an art than a science. And here I am 52 years old grandmother and the same way. Thank God for ADD meds! We are running into that issue as well… where he doesn’t really want to eat. I’m not quite sure how to handle that part of it yet. There’s always tons of stuff going on during the weekends — basketball games, gatherings, etc. — that it’s just as difficult if he doesn’t take his meds. We’re still working on it. We try to load him up with an awesome breakfast (protein and complex carbs), then give the meds. Packed lunches went half-eaten, bought hot lunches are fully eaten. I hate the quality of food served, but love the calorie intake. Getting tired in time to get a full night’s sleep (morning medication wear-off?) to get up to catch the 6:30 school bus is still tricky. Resource teacher says not sure the meds are working anymore, but one day he forgot to take them was significantly challenging for him and staff. I don’t want to up the dosage as sleep time at the end of day is still an issue. We went to bought lunches as well for my kiddo as well… the calories can’t be beat and my son would eat a lot more from the cafeteria. With regards the issue of not giving meds on weekends…I was also sceptical,and thought shame let me give him a break over the weekend;,but my paed/specialist explained it to me like this:If your child had epilepsy and you gave meds in week…would you stop the meds on the weekend??? So we give it on weekends too…this way we can control the learning situations,and teach my son the correct ways to behave in social settings,etc,whereas without meds I would rather stay at home!There is no way I can handle the off the wall behaviour!! The weight issue was a challenge for us as well. I resorted to the parenting boards at Additudes Mag online and found a suggestion from a mother who was using a microdose of an allergy medication which happens to have increased appetite as a side effect. The brand name is Periactin but the generic cyproheptadine works just as well. The results for us were immediate and miraculous. I discussed this on more than one occasion with my pediatrician, who was initially somewhat skeptical, but we had come to the point of taking him off a drug that was working very well for him–and the only thing we’d found to work well among several classes of drugs, therapy, and dietary changes, or watching him wither away. I finally insisted and within one week of taking 1/2 of a 4mg tablet once a day–in the morning with his Vyvanse, he gained six pounds. Within a year, he had the tremendous growth spurt that we had been waiting for and went from scarily underweight to normal weight. It was such a pleasure to watch him eat again–to know that he could eat lunch during the school day instead of trying to stuff all of his calories at breakfast before pill and dinner after pill wore off. And yes, skipping weekends only to watch him immediately lose what he had put on by the end of the school week. I know it’s not ideal to add a new drug to mask the side effects of another, but this WORKED so tremendously well for us. I have no regrets or complaints. Hope this can help someone else. We changed some of the food we have in the house for our kiddo — such as adding Cliff Bars for snacks and other high-calorie items that are packed with good calories (not empty ones). Thanks for sharing your own personal experience. P.S. I try to never go to the grocery store with him (if it’s humanly possible) and if I do I set up a reward system with a reverse token system…that way he gets chances to misbehave and then get back on track. Really interesting read. It can be difficult for an outsider to know the difference. Thanks for sharing. I’ll be sharing! I really do appreciate the share. Today’s post was quite cathartic to write. Great article and great questions raised. My older son (now 12) is ADHD and has autism/spd. He started medication when he was 5 years old. We hated to do it, but we felt like our toddler would not live if we didn’t calm him down. We found ourselves, too often, having to pick which child to save! (turns out my other son also has adhd/autism) That is a terrible position and it’s what pushed us to try medication. WOW!!! It is night and day, isn’t it? From jumping out 2nd story windows to sitting still to read a book. Amazing. Really, the change has been quite dramatic. It’s still so new to us that we’re not quite sure what to make of it! I’m very confused. Our specialist and an OT working with us have both told us that there is no actual diagnosis for SPD because it is not a recognized disorder. If you look at the current DSM, this is in fact true: SPD is not included at all. The OT has said that no OT can give an official label like SPD, she has just stated that he has serious sensory needs. The doctor has confirmed he has ADHD (severe) with sensory difficulties. Is this somehow different in the states? SPD is not recognized by the DSM… however, anyone living with a sensory kid knows that it exists and is only a matter of time until it’s officially recognized by the medical community. And keep in mind, even Autism was originally listed under schizophrenia in the DSM. The grocery store trip is what made me put my foot down and say “we are getting help.” So glad that you guys found something to help V-man and you got to enjoy a shopping trip together. It really has changed our daily routine somewhat. Of course, first thing in the morning (before the medication starts) and before bed (when the medication has worn off) are a complete stress madhouse. It’s been a few months since you’ve posted this. Have you found any routines that help you with mornings and evenings? I feel like I’m going insane. In the morning my son can literally take an hour to put on his pants. In the evenings I go insane trying to get him to do homework. I feel like the medicine doesn’t last long enough to get done what I need to do during the day but realistically I know that if it lasts longer than he won’t sleep. Also, get your kid to buy-in when/how homework gets done. Having his participation in setting up rules, guidelines, timelines will help. We also do an “incentive/reward” program to get things moving and have it become a habit. Our son too did better on medication but began suffering from depression so we searched desperately for an alternative. We finally found a naturopathic doctor who diagnosed an endocrine imbalance. The dr. asked us what we would be like as adults with adrenals on max all day? He prescribed some homeopathics. After a few days our son said he didn’t feel like he was going to explode all the time. My son is 13 and was diagnosed with ADHD at 5 years old. Medication was our saving grace. Now, for many reasons he is unable to take anything for his ADHD. Depression is a concern for more reasons than I can write. I’m interested in the homeopathic avenues you mentioned. I’m so desperate to make my son happy. Anything you can tell me would be most appreciated. Hi! My son is almost 10 and we have struggled since 1st grade with staying focused, high energy levels. He was diagnosed at age 5 with TIC disorders and for a short time took medication, which helped. But I hated him being a “zombie”. Our summer break in 2014 was ” horrible” every day for both of us and anyone around. He was so aggressive, major meltdowns, banging his head on walls. I was so distraught on how to help him. Our pediatrician ( which we have changed), was not helping!! I was a basket case so to speak and began my own research. I learned that the daily allergy medication my son was on had had terrible side effects in children. So I stopped that! I took him to a nurse practitioner for what I thought was strep throat ( which he seemed to constantly be contracting), when it took 4 adults to hold this lil 60 # 8 year old down, finally someone else saw what I had been dealing with daily. Living in the south, everyone had said he needs discipline, he is spoiled, etc, etc. but discipline was like water off a ducks back.. NOTHING WORKED! Revoking privileges, time outs, groundings, even a quick swat on the buttocks. Nothing!! No changes.. The nurse practitioner suggested seeing a child psychologist. Thankfully that led to a diagnosis within 3 months and then after multiple tests he was diagnosed with the alphabet soup. ADHD, SPD, PDD, ODD, Asperger’s syndrome, TIC disorder which is now Tourette’s ( after it has been occurring for 4 years now).. Yes medication helped, initially, but the typical medications are stimulants for these children. It was great for 1 yr. but then, he began having TIC movements that were so complex, the OT thought he had had a stroke, because of the tremors in his right hand. So his psychologist stopped the stimulants, we tried at the suggestion of the pediatric neurologist ( who ruled out a stroke), another medication for anxiety, his blood pressure dropped, he could not stay awake. It’s been such a roller coaster. I now have him on omega 3, probiotics, and magnesium and that’s it. His movements have improved, I homeschool him ( he does not do well in social settings AT ALL), but during all of his testing he scored 3 grade levels higher than he was in and has an extremely high IQ. I would love to have help with his staying on task and ADHD. Please share what works for y’all. I’m blessed enough that I can stay home with him. Our lives have consisted of trial and error for so long, I have learned that routine is essential to thriving, as is physical therapy. ( he loves it), anything to help him live a normal life- I’m willing to try. So please, please share any thing that has worked. So many kids with extra needs are being homeschooled now because it just doesn’t seem like the school system is able to work with the children in the way they need. I’m glad you’re able to work with your kiddo at home and give him the structure and support he so desperately needs to thrive. And you’re right…. this isn’t a discipline issue. That absolutely drives me crazy. As long as my son’s ADD and sensory issues are being met, he’s good to go. But if he gets off kilter because of them, he’s not misbehaving because he wants to. I don’t believe any child wants to specifically misbehave at all. Lots of good information in this article. As a Special Ed teacher, I get so frustrated with parents who refuse to even consider medication. I have only strongly recommended it 3 times in 30 years of teaching, and I only discuss it after I’ve tried every behavioral approach first. I appreciate the share. It is true that parents often have a hard time telling the difference between ADHD and SPD — I’ve also seen many professionals that aren’t able to distinguish the difference either. Or they aren’t aware of SPD and don’t consider it. The more we’re able to share, the more we can help other kids. Thanks! Can I ask what medication has worked well for your son? We’re using a long-acting one — Vyvance. But we’ve had to tweak the dosage and also passed on some others that we tried and just weren’t a match for my son. It’s really such an individual thing! 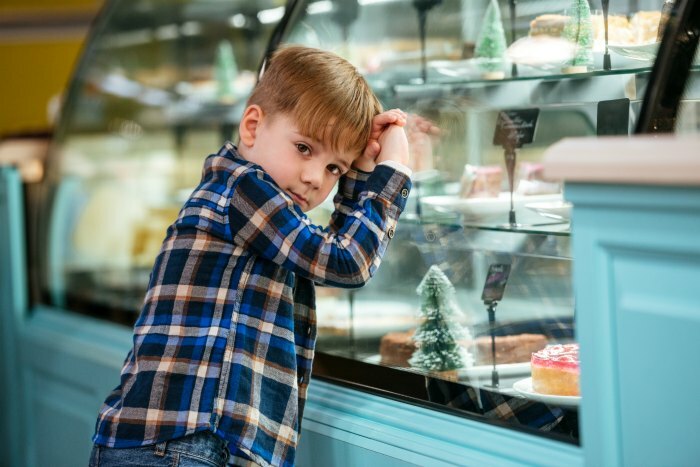 The general rule is children with Sensory Processing Disorder are diagnosed by a pediatric occupational therapist that works specifically with kids on the spectrum. (In other words — NOT your school OT). From there, the pediatric OT can figure out what specific sensory needs your child has and begin a program to help your daughter. Great write up! As a pediatric OT, I must clarify though, that we are not diagnosticians. However, only OTs who are SIPT certified can diagnose a child with SPD. Currently, SPD, is not a diagnosis in the DSM-V. SPD can be addressed through therapy in a clinic setting as well as in a school setting. We all have the same foundational education, just work in various settings. In a clinic setting, the OT has more resources and is not limited in their practice addressing the needs of children. In a school setting, therapy must be related to their education so the OT can help with providing strategies, suggesting modifications and accommodations to the child’s classroom and work with the teacher to continuously monitor the child’s progress. An OT in the schools can evaluate children to determine the presence of sensory processing issues. But whether the therapist is in a school system or clinic, he or she can not test for SPD specifically unless he or she is SIPT certified. Although SPD is not a DSM-V diagnosis, doesn’t mean SPD is any less real. The medical community has some catching up to do. It’s Not a diagnosis, but it’s totally accepted as a symptom complex. Just like fever, that’s not a diagnosis, but nobody would deny it’s existence. I love your articel, i am a mother of an adhd and spd Boy, and we were able to find his loving personality as soon as we started to medicate him. His personality did Not change, but he can control himself. I have four kids, two diagnosed with adhd. Talk about mayhem when the meds wear of …. Oof… when the meds wear off. It’s definitely a juggling act. And with two — well, double the challenge. I was just surfing Pinterest and the pin image for this post came across my feed and the little boy reminded me SO MUCH of my son, so I clicked on the picture and started reading your post. I’m in tears now because THIS IS MY SON. Jack was diagnosed with SPD around the age of 2, and now he is in kindergarten and we are in the beginning stages of having him evaluated for ADHD. He does the grocery store surf, the couch kamikaze dive, windowsill tightrope walking, running, jumping, etc. He is a total sensory seeker (auditory defensive and tactile defensive as well – odd combination) but we are now realizing that even though he has tons of strategies at home and at school to “calm his engine”, nothing is helping and he is acting out in school. I’ve been around the blogging world for about 6 years now, and it has been a while since a post has spoken to me like this one has. Thank you for writing this and giving me hope that maybe someday I’ll be able to enjoy my son for an entire 24 hour period without wanting to pull my hair out because of his constant energy. Thank you!! Sending you TONS of hugs, first! I don’t think we’re unusual in figuring out the sensory seeker stuff first. School really punctuates the other hyperactive and attention issues. My son is like a different kid… still himself but happier. He still has rough moments… but oh my goodness nothing like it used to be. Good luck on the evaluation! This sounds a lot lune both of my boys. One has SPD diagnosis. My other was diagnosed with ODD, but not by a neuro. I almost wonder if he has ADHD, but the weird thing is that both do well in school. My seven year old is very impulsive at home, but is an “angel” at school. Because of this, the ped is not considering ADHD as an option. We need help with him. Especially with his impulsivity at home. Any insight would be great! Thanks for the information. I have been researching what to do for my daughter. She is 8 years old and has recently been diagnosed with anxiety disorder. When she was four she was dx with SPD and did have OT for close to a year when she was in 1st and 2nd grade. She hates school and everyday it’s a battle to get her into the car and then out again once we get there. She will run through everything she can think of from pleading, tears to demanding and refusing to move. She has always kept it together at daycare/school and let go at home, so most people have no idea what I go through every day. I have a Master’s in Elementary Ed and have studied/researched child development ADHD, SPD quite extensively. I find that I do very well at work with my students but, feel I am lacking at home (probably because I have poured so much of myself into work. I have ADHD without hyperactivity (dx in my 30s) and find maintaining the routines and structure at home (like bedtime or morning routines) difficult, especially when she fights me every step of the way. I have read Understanding Girls with ADHD and feel that she has many symptoms of ADHD but the anxiety was what the PHd said was wrong with her. I am skeptical about the testing as it didn’t appear to bring into consideration the differences for how ADHD can present in boys vs. girls. Also my daughter seems addicted to sugar/carbohydrates…has anyone else had similar experiences and what would you suggest? My son is 5 and has SPD since birth as well. I absolutely cringe if I have to take him to the store. He knocks everything off the shelf just to see what happenes, even though he knows it results in he same thing. My husband and I have questioned if he is ADHD on top of everything. I am happy to stumble upon your blog as I am not alone out there. Reading this was like seeing myself at the store with my sons, 5 and 3. It’s gelps to know that there are other moms out there who have the same struggles. LOTS and lots of moms out there with the same struggles. Stay strong! Oh. My. Goodness! I am not alone! My son, now 10 and entering 5th grade, has SPD and ADHD. It has been quite a challenge. Reading your telling of your grocery store surfing experience was like reading a page from our story. Even the younger ones following suit…Ours is usually an epic run and then a slide onto the knees. In 3rd grade he went through the Brain Balance program which was an incredible experience. It helped LOADS with his SPD. Right before 4th grade we began meds for ADHD and that has made a difference this past year. It has been trial and error as we tried a few things. Vyvanse is the one that has seemed to be the best fit so far. My biggest struggle with him taking the meds is it decreasing his appetite. One of his strongest SPD struggles is food, textures…taste…smell…and he has a VERY limited diet because of this. We constantly offer him food…he only has a few things that he likes. Question…Jack, my son, has explained his brain like the news. Except where the news has one little picture in the corner with the story happening, Jack explains his brain as if he’s standing in the middle of the room with tons of those stories going on around him all at once. Even with the meds…his outward behaviors calming down and making him much more manageable at home and at school, he still feels like it isn’t making a difference and slowing things down inside for him. He is not noticing the difference. Has anyone else’s kiddo complained of this? I am hesitant to up the dose as it has effected his appetite so much already. I’m open to suggestions! Thanks for sharing! I’m looking forward to reading more of your blog. We are figuring out the balance of appetite and the right dosage of drugs. We have found high calorie/high protein bars like Cliff bars are helping. And we go really heavy on the snacks when we know the medication is almost out of his system in the afternoon to make sure he gets the calories and nutrition he needs. Hi, my son is 3 about to turn 4 in a couple of months. I had noticed some SPD symptoms and now some ADD/ADHD symptoms. How do I even get started on an evaluation is it too early ? Would I go to my pediatrician or a specialist I want to help him the best I can. Thank you. Try brainbalancecenters.com. It saved my 2 kids. I’m excited to have found this site. I’ve been dealing with this issue in reverse with my 4 year old son. He has ADHD but I’m convinced that there is something else going on he’s dealing with. We even had him tested for autism because I thought it might even be high functioning autism disorder. This was the first post I’ve read but I plan on reading every single thing this site offers. Thanks for the great post! !